Sharing a hot little project today! 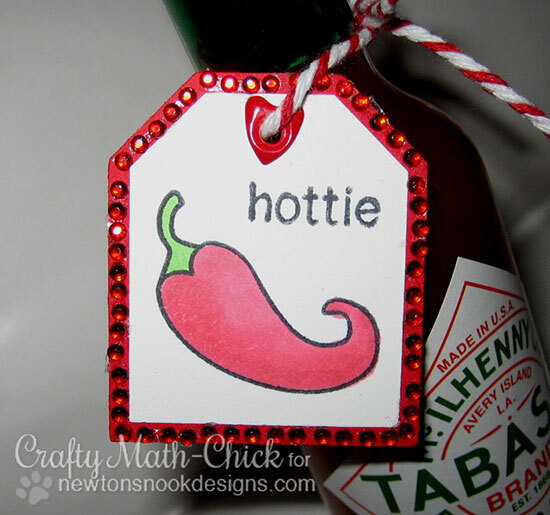 Don't you just love this fun little tag by Crafty Math-Chick? She used the fun chili pepper and "hottie" sentiment from our Love à la Carte stamp set! Wouldn't this be perfect to sneak onto the table and surprise your sweetie? I love all the little hot red "bling" she added around the edge and the heart shaped eyelet! So fun! haha, I am laughing! Fun! 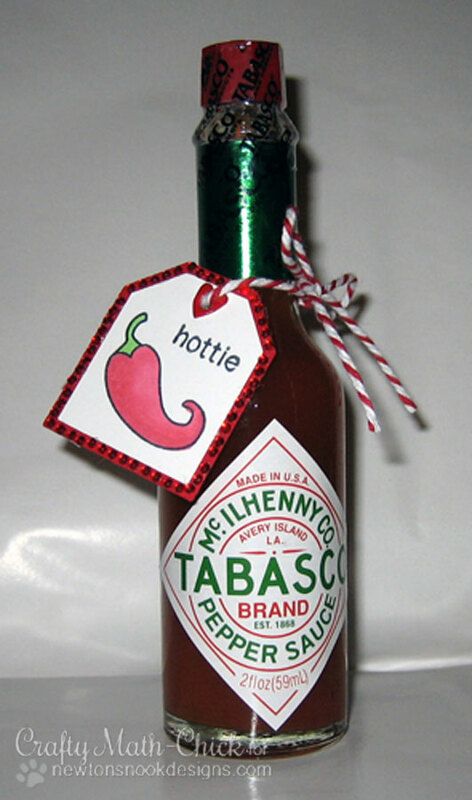 Such fun...a hot little tag indeed!